Another early morning dim sum outing dragged me out of bed at 8am (after a wedding the previous night) to queue up outside of Dragon Boat Fusion Cuisine. When The Hubby and I pulled into the parking lot of Dragon Boat Fusion, at quarter to 9am, there was already a long line. Since the parking lot was small and it was challenging to find a spot closeby, I hopped out first to secure our spot while he parked. On a weekend, I would highly recommend coming before the doors open. 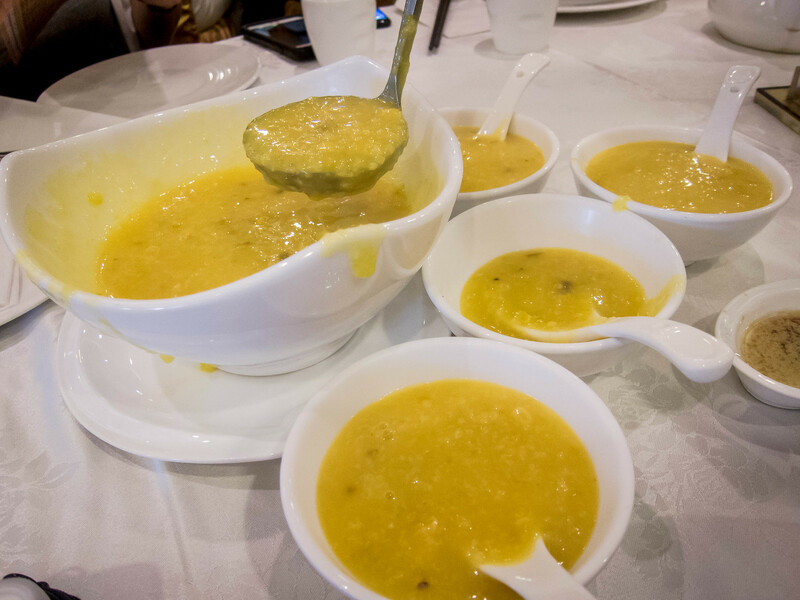 Atmosphere: Dragon Boat Fusion is one of the classier Chinese restaurants uptown. Popular for weddings, new year banquets and special events, the decor was tasteful and featured lots of gold and red elements. Each table was set with crisp white tablecloths and contemporary chinaware. 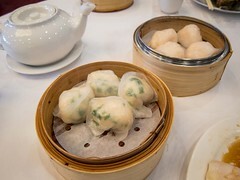 Square dim sum steamers was branded with the restaurant name and logo. A wall display of wine bottles greeted customers in the lobby and 8 large fishtanks housed an impressive display of fresh seafood. 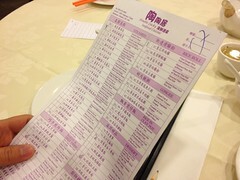 Service: Despite the refined atmosphere, service during dim sum was a mess. When the doors opened, chaos ensued. Everyone streamed into the restaurant and ran to a table, there was no semblance of order and the staff didn’t even try to assign tables. It was like a mass game of musical chairs, if you took too long to sit down, all of the tables could be taken, regardless of where you were in line outside. Practically all of the large tables were occupied by 1 or 2 people holding them down. Many still didn’t have a full party by the time we left and the line outside snaked around the building. When we were trying to place our order, we were also consciously ignored at least 3 times. I’m not sure if the servers were waiting to collect multiple orders at a certain time, but it would’ve been nice to be told, rather than having them make eye contact and promptly walk away. Even with lower expectations, the service was dismal. It was near impossible to get a teapot refills, but the bill came quickly. 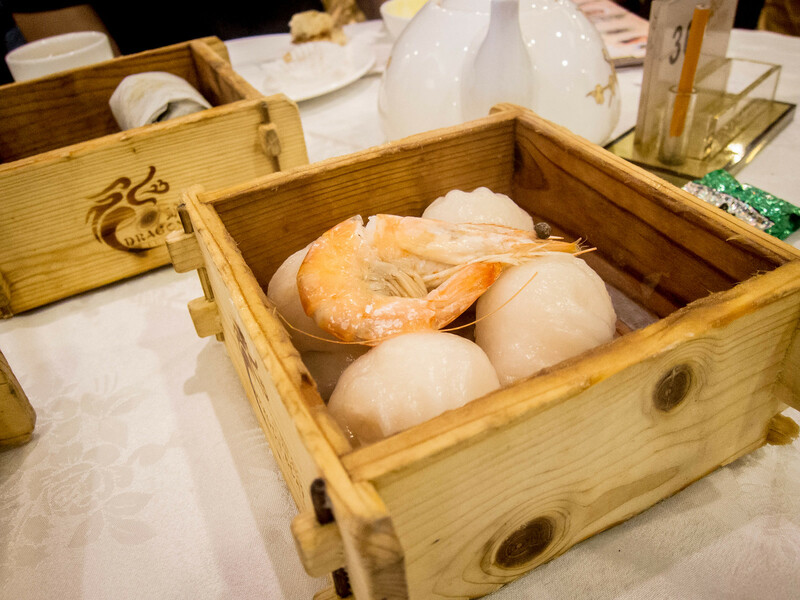 Food: Honestly, I’m torn between rating Dragon Boat 3.0 or 4.0. We had such a poor experience but the food was really good. Good enough for me to deal with lousy service for at least one return visit. Between 4 people, we ordered 8 dishes in total and I thought 6 were above par. There is a reason the restaurant is so popular and I couldn’t disagree. 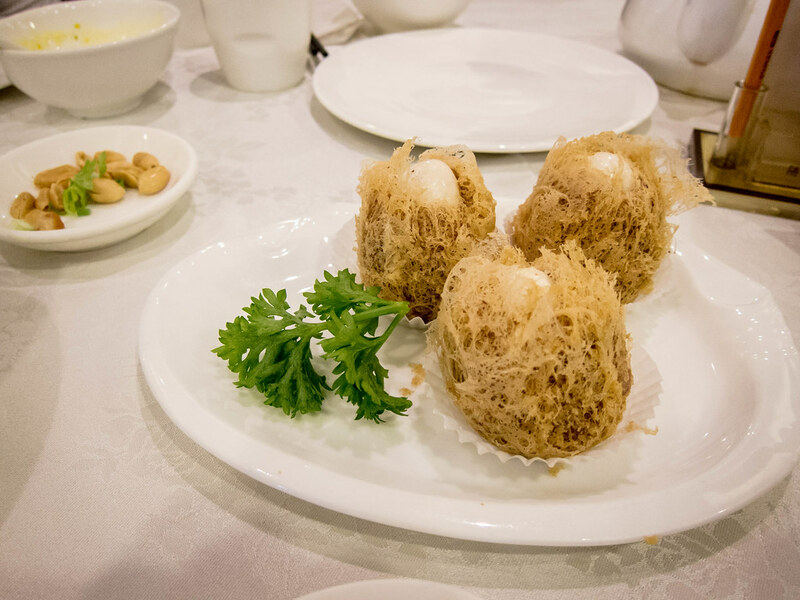 Deep Fried Taro with Quail Egg – Very crispy, like a small bird’s nest, warm creamy taro filling and soft boiled quail egg. 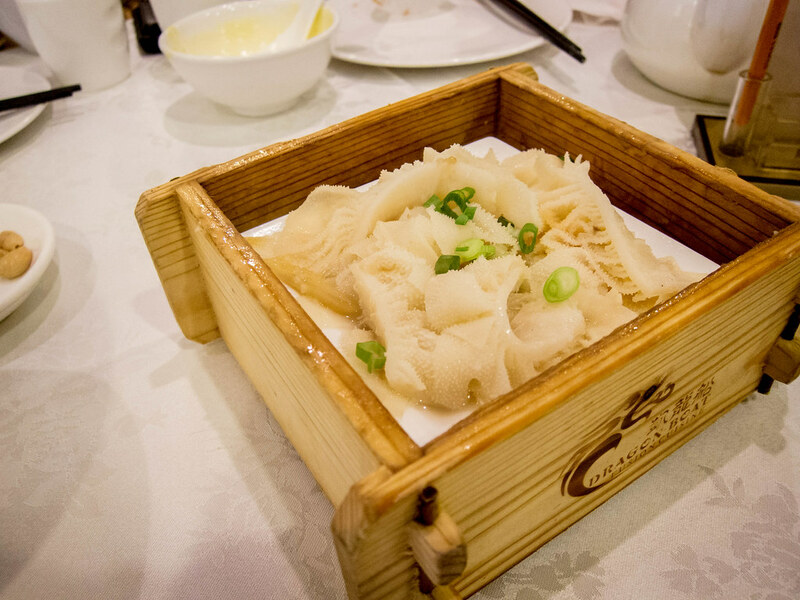 Steamed Tripe – Tender with lots of ginger and green onion. 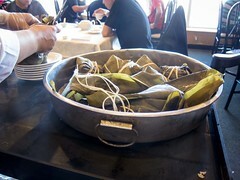 Steamed Sticky Rice in Lotus Leaf – These rolls came out wrapped in parchment paper, on top of the lotus leaves, easier to share than traditional Zongzi but not as flavourful. Shrimp Dumplings – Decoration shrimp was cute, but overcooked, dumplings themselves were only ok. 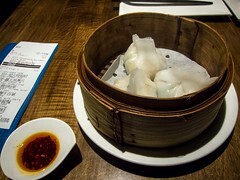 The skin was sticky and thicker than other dim sum restaurants. 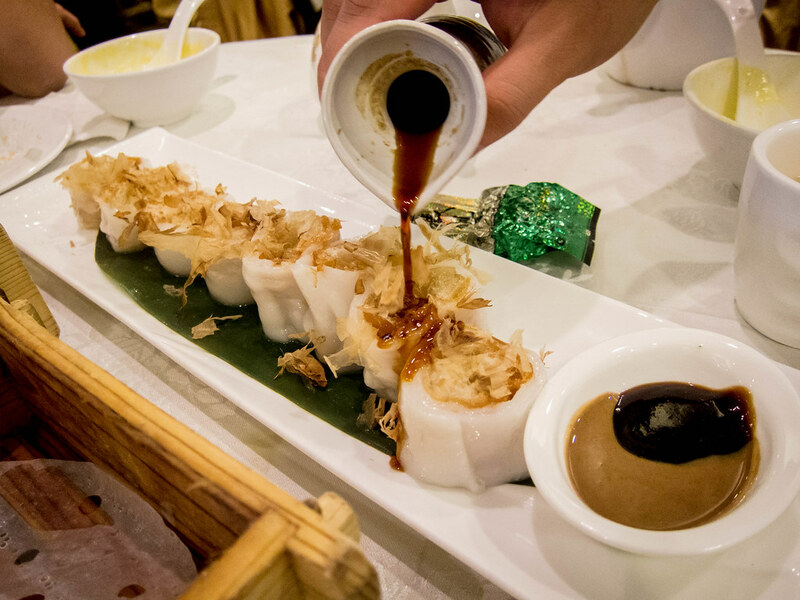 Rice Roll with Dough Fritter – Loved the addition of bonito flakes, the dough fritters were crispy was served with lots of sauce. The style of presentation allowed for maximum saturation. 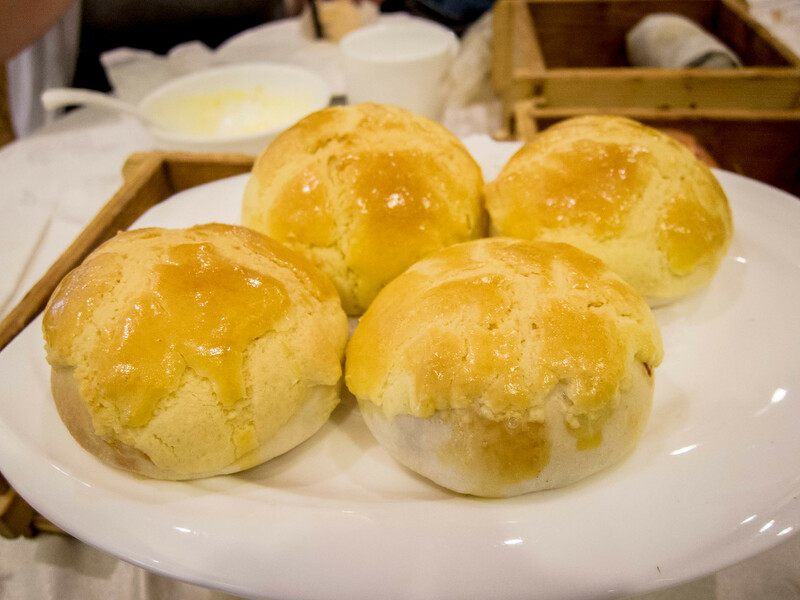 Baked BBQ Pork Bun – Golden, crispy topping, fluffy bun with lots of filling, would happily order this again. 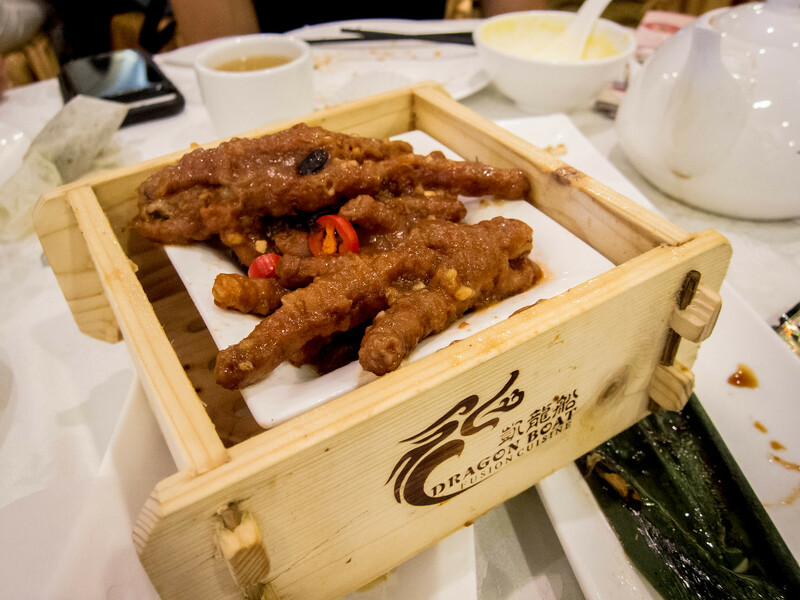 Steamed Chicken Feet – This dish arrived last, we thought it was actually forgotten and was ready to cancel it when it appeared. I found the chicken feet cooked well, the skin was soft and fell off the bone and was well seasoned. If service was cleaned up, Dragon Boat Fusion could easily be a great restaurant. 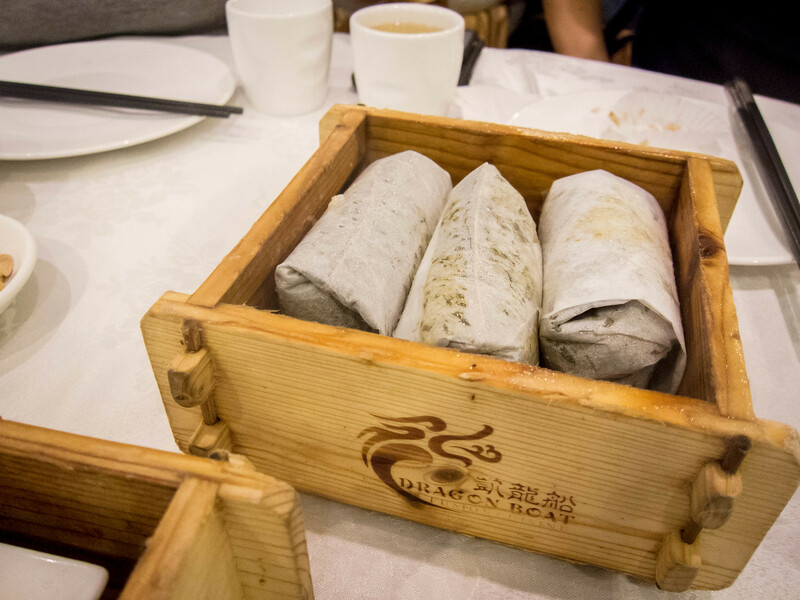 Perhaps dinner is a completely different experience than the craziness of weekend dim sum. For now, I’m conflicted.